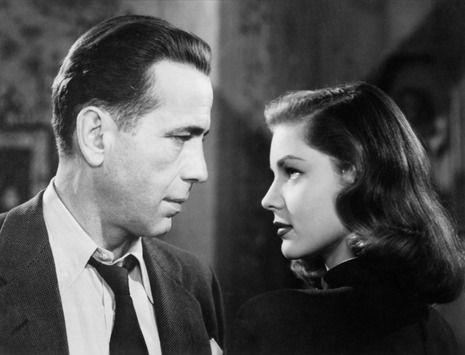 It stars Humphrey Bogart as detective Philip Marlowe and Lauren Bacall as the female lead. 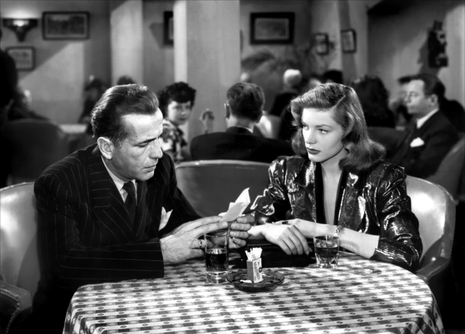 The Big Sleep is a prime example of the film noir genre. William Faulkner, Leigh Brackett, and Jules Furthman co-wrote the screenplay. In 1997, the U.S. Library of Congress deemed this film "culturally, historically, or aesthetically significant" and preserved to the National Film Registry. 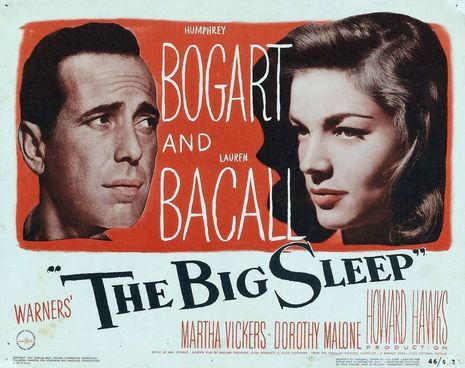 After its completion, Warner Bros. did not release The Big Sleep until they had turned out a backlog of war-related films. 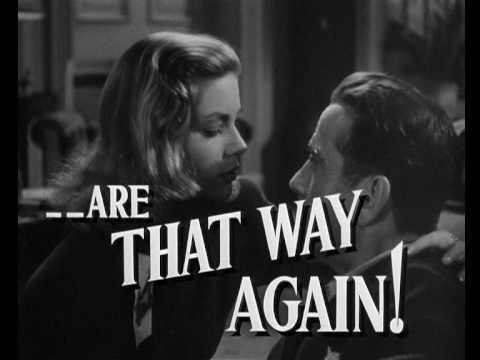 Because the war was ending, the studio feared the public might lose interest in the films, while The Big Sleep's subject was not time-sensitive. Attentive observers will note indications of the film's wartime production, such as period dialogue, pictures of President Franklin D. Roosevelt, and a woman taxi driver who says to Bogart: "I'm your girl." Wartime rationing influences the film: dead bodies are called "red points," which referred to wartime meat rationing, and Marlowe's car has a "B" gasoline rationing sticker in the lower passenger-side window, indicating he was essential to the war effort and therefore allowed eight gallons of gasoline per week. The "Bogie and Bacall" phenomenon, a fascination with the couple which had begun with To Have and Have Not, and which grew during their subsequent marriage, was in full swing by the end of the war. Bacall's agent, Charles K. Feldman, asked that portions of the film be reshot to capitalize on their chemistry and counteract the negative press Bacall had received for her 1945 performance in Confidential Agent. Producer Jack Warner agreed, and new scenes, such as the sexually suggestive racehorse dialogue, were added (scripted by an uncredited Julius Epstein). The reshot ending featured Peggy Knudsen as "Mona Mars" because Pat Clark, the originally cast actress, was unavailable. Because of the two versions created by the reshooting, there is a substantial difference in content of some twenty minutes between them, although the difference in running time is two minutes. The reshot, revised The Big Sleep was released on 23 August 1946. 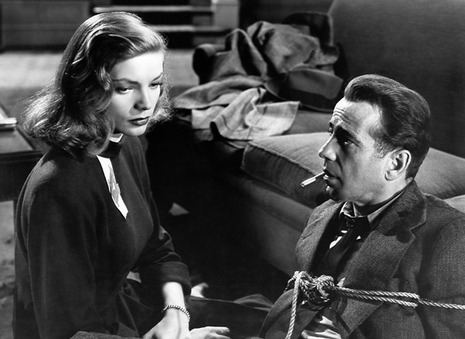 The cinematic release of The Big Sleep is regarded as more successful than the pre-release version (see below), although some complain it is confusing and difficult to follow. This may be due in part to the omission of a long conversation between Marlowe and the Los Angeles District Attorney where facts of the case, thus far, are laid out. Yet movie-star aficionados prefer it to the film noir version because they consider the Bogart-Bacall appearances more important than a well-told story. For an example of this point of view, see Roger Ebert's "Great Movies" essay on the film. Novelist Raymond Chandler said Martha Vickers (Carmen) overshadowed Lauren Bacall (Vivian) in their scenes together, which led the producers to delete much of Vickers' performance to enhance Bacall's.